Russian president, Vladimir Putin, has angrily accused the International Association of Athletics Federations of ‘blatant discrimination’ for banning almost the entire Russian Olympic track and field team. 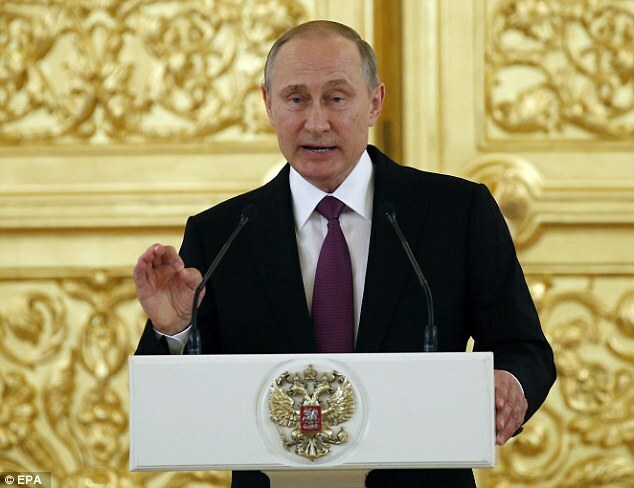 Speaking at a farewell event for Russia’s Rio-bound Olympians in Moscow, the Russian President said the absence of athletes from the world’s largest country would also diminish the competition. 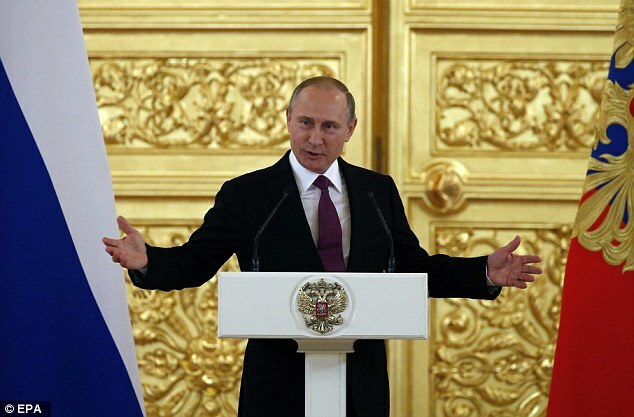 In regards to the IAAF decision to reject the eligibility applications of 67 of Russia’s 68-strong athletics team, the TASS news agency quoted Putin as saying it had ‘gone beyond legal boundaries as well as beyond the point of common sense’. 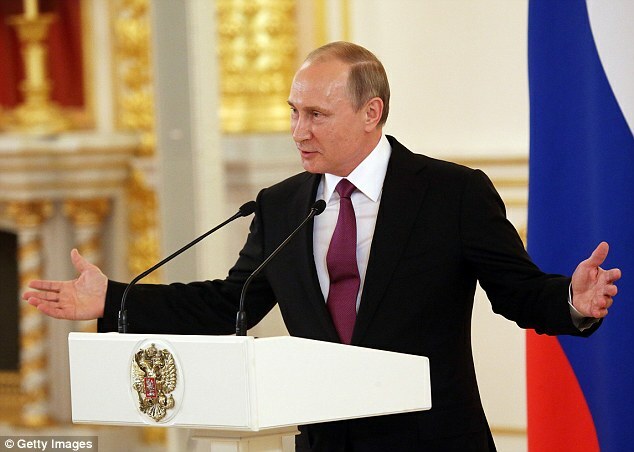 Putin continued by denouncing the IAAF as ‘short-sighted politicians’ spoiling sport’s ability to bring people together. A keen sportsman, the 63-year-old former KGB officer later bid the team good luck, calling them ‘winners’ and promising them financial rewards if they win medals. Russia’s involvement in the Rio Games, however, has been a source of huge embarrassment to Putin and his country. The Russian athletics federation has been banned from international competition since November and last week the Russian Olympic Committee failed in a bid to get this ban overturned at the Court of Arbitration for Sport. The athletics sanction was imposed after a World Anti-Doping Agency-commissioned investigation uncovered widespread doping. That inquiry also led to the suspension of Russia’s anti-doping agency and Moscow’s anti-doping laboratory. A second WADA-funded report by Canadian law professor Richard McLaren published last Monday revealed even further, state-directed doping, this time encompassing almost all Olympic and Paralympic sport in the country. That led to calls for the International Olympic Committee and International Paralympic Committee to ban the entire Russian delegations from Rio, calls that the IOC resisted but the IPC looks set to heed. The IOC’s response was to pass the responsibility for decisions on Russia’s participation in Rio to the 28 international sports federations that govern each sport in the summer programme. Most of those sports have completed the process of individually vetting Russia’s team, with over 100 athletes from the initial 387 that were selected being declared ineligible. Fencing’s world governing body, the FIE, said it had ‘re-examined the results’ of the drug tests taken by the 16-strong Russian team over the last two years and all were negative. Volleyball’s international federation, the FIVB, announced it too was submitting all 44 of Russia’s roster for the beach and indoor competitions to the IOC and CAS for final approval. Russia won the men’s indoor volleyball event at London 2012, while it claimed two silvers and a bronze in the fencing competition. The International Triathlon Union cleared the three men and three women in Russia’s triathlon squad to compete. Fencing, triathlon and volleyball join archery, badminton, equestrian, judo, shooting and tennis in approving all of Russia’s proposed athletes for the Rio Games, which start on August 5. Boxing, cycling, golf, gymnastics, handball, table tennis, taekwondo, weightlifting and wrestling are, however, still to confirm their eligibility decisions. The International Olympic Committee’s decision to let each sport decide how many Russians are eligible to compete in Rio has yielded some big decisions with the Games a little more than a week away. Here is a list of what each international sports federation has done regarding Russia’s athletes, with the exception of basketball, football, hockey and rugby, for which Russia did not qualify. Having already barred seven swimmers who fail to meet new anti-doping criteria, governing body FINA is subjecting the eligibility of the remaining team members to ‘specific additional criteria’. The diving, synchro and women’s water polo teams are not affected. World Archery says Russia’s three qualified archers have been ‘tested extensively’ and are free to compete. The IAAF has banned all Russian track and field athletes from Rio, with the exception of long jumper Darya Klishina as she trains in Florida and has been subjected to testing outside of Russia’s tainted anti-doping system. The World Badminton Federation has cleared all four of Russia’s badminton players. Governing body AIBA is ‘reviewing and analysing, on a case-by-case basis, the anti-doping records of the 11 Russian boxers currently qualified for Rio’. The International Canoe Federation has banned five Russian sprint canoeists from Rio after they were implicated in the McLaren report. Investigations are ongoing and additional bans are possible. The International Equestrian Federation has cleared the five members of the Russian team to compete at the Games. The International Fencing Federation said it has ‘re-examined’ the nearly 200 tests taken by Russia’s fencers over the last two years and found them all to be negative. It also said the team had been tested in 35 different countries, including at last month’s European Championships in Poland. World No 338 Maria Verchenova is the only Russian golfer in Rio. There has been no response yet from the sport’s Olympics-affiliated body, the International Golf Federation. The International Gymnastics Federation is working ‘as soon as possible’ to establish the ‘pool of Russian eligible athletes’, although Russian media has reported the Russian federation saying it was confident all of its gymnasts would be okay. The International Handball Federation has requested ‘urgent’ information regarding the current location of the Russian women’s team so its 14 players can be tested ‘as soon as possible’. International Judo Federation president Marius Vizer has indicated that none of the 11 members of the Russian judo team will be barred from the Games. One Russian athlete, Maksim Kustov, plus a reserve, Ilia Frolov, have been barred by the sport’s governing body, the UIPM, after being implicated in the ‘false positive’ scandal. Governing body FISA banned Ivan Balandin for a ‘missing positive’ and Anastasia Karabelshchikova and Ivan Podshivalov for having previously served doping bans. After individual assessments, 17 further rowers and two coxswains were ruled not to meet the IOC’s conditions regarding testing outside of Russia. Six members of the Russian sailing team have been provisionally cleared to compete by the World Sailing Board. One, Pavel Sozykin, has been barred due to him being named in the McLaren report but Russia can call up a reserve sailor. The International Shooting Sport Federation’s executive committee voted unanimously that all 18 Russian athletes should be allowed to compete, as none are referenced in the McLaren report. The International Table Tennis Federation (ITTF) is investigating table tennis’ involvement in the McLaren report and will make a decision on the selected Russian athletes this week. There has been no response from the World Taekwondo Federation (WTF), although the Russian federation has told national media that it thinks its athletes will be cleared to fight. The International Tennis Federation (ITF) says Russian players nominated for Rio have already been subject to a total of 205 drugs tests since 2014 and will be allowed to play. The International Triathlon Union said the three men and three women in Russia’s team are all eligible under the IOC criteria. Governing body the FIVB said: ‘Russian athletes have been tested at the same level as all other countries and the majority of the testing analysis of Russian athletes has been conducted outside of Russia.’ This means the men’s and women’s teams in the indoor event, two teams in the men’s beach volleyball and one in the women’s beach volleyball are all eligible to play. Russia has already had two quota places removed for repeated doping violations. The International Weightlifting Federation will ratify the participation of the remaining team members on an individual basis, although there is still a good chance the entire team will be barred as a result of the reanalysis of samples from the Beijing and London Games. Eleven weightlifters – including four Russians – were suspended by the IWF on Wednesday evening after retested samples from London 2012 returned adverse analytical findings. United World Wrestling says the Russian testing labs implicated in doping violations are not part of its testing protocol. It has requested more information and evidence regarding wrestlers said to be involved in ‘disappearing positive tests’.